Autumn has definitely arrived – we’ve had a couple of mornings with frost, some very wet weather and the pavements are starting to get covered in leaves. 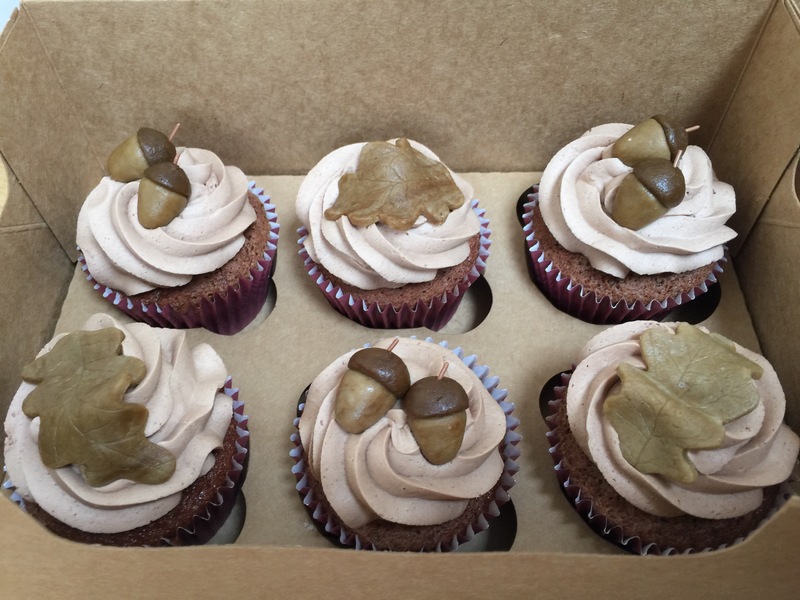 So for the first cross-country race of the season a few weeks ago I decided to make some autumn-themed cupcakes for after the race. On the day of the race, it was actually extremely mild – not like a typical cross-country race day – which made a nice change! I also really enjoyed the race. The course was great – undulating with a few muddy sections and a water jump (which was my favourite bit – it helped to cool me down!) Rather than using icing to decorate the cakes, I decided to use marzipan. 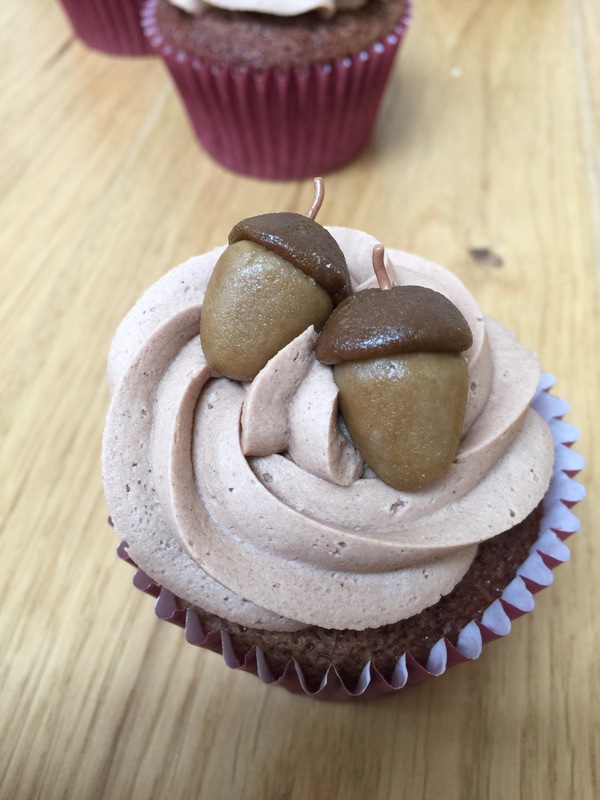 Personally I prefer marzipan to icing – I find icing just adds sweetness without adding any flavour. However, I find icing easier to work with (marzipan can be a bit sticky, and doesn’t hold it’s shape as well if you’re trying to make bigger things. However, on this occasion, marzipan worked fine, and tasted much better than a lump of sugar! 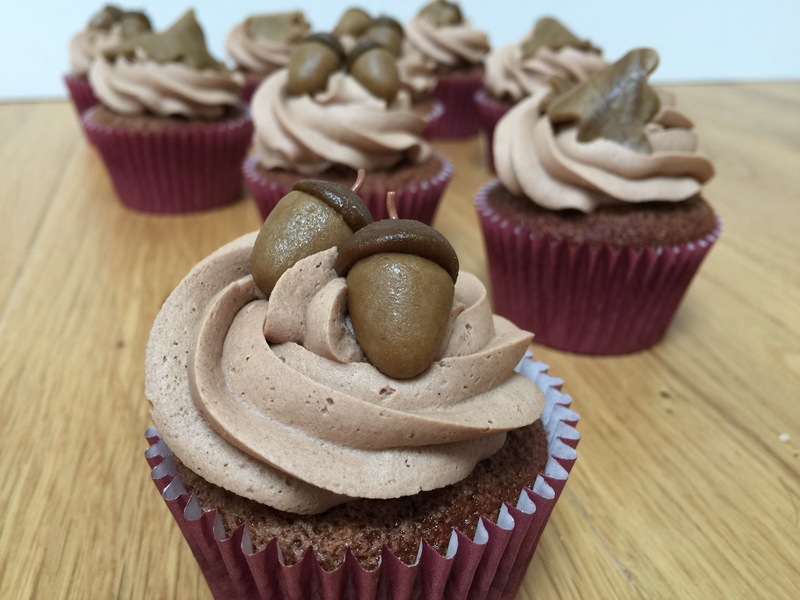 I coloured some marzipan with a lot of brown food colouring to get a dark colour which I used to make some little cup shapes for the top of the acorns. I then made some lighter brown marzipan and made some cone shapes for the main part of the acorn. One of the advantages of mazipan is that’s sticky so will stick together without any water or edible glue. The stalks were just chocolate sprinkles stuck in the top. I then half mixed the leftover bits of light and dark brown marzipan and rolled it out to cut out some leaves (to save some time rather than making more acorns!). I pressed a silicon leaf veiner into each one to give a bit of texture. 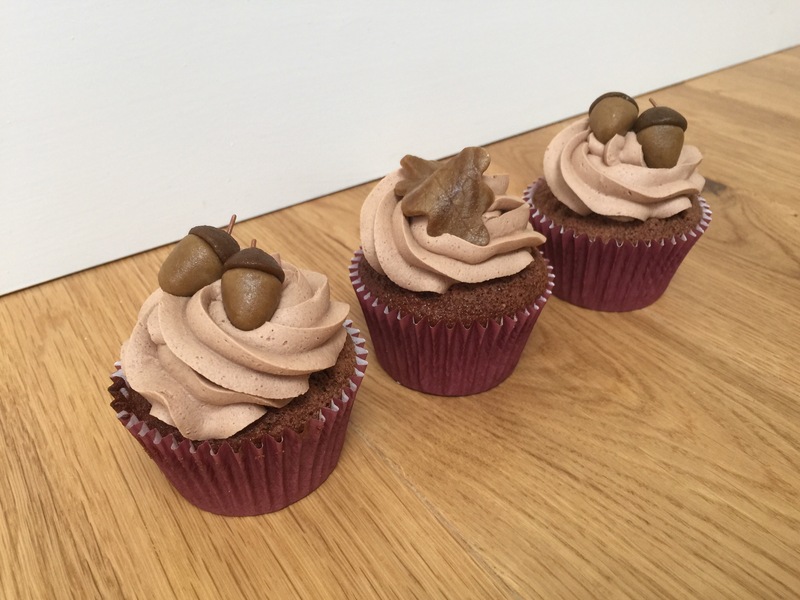 Simple, tasty and quick to make – I’ll definitely be using marzipan again if I can!